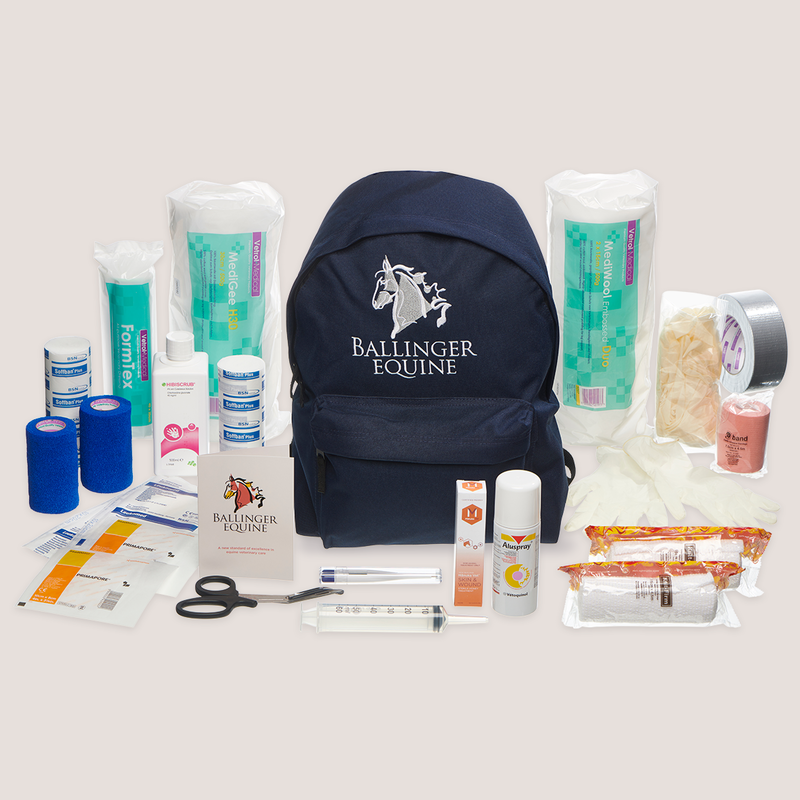 Ballinger Equine’s comprehensive new equine first-aid kit comes complete in its smart weather-resistant rucksack. The rucksack features two-way zips for ease of access, a zipped front pocket, adjustable shoulder straps and a carrying/hanging loop. The kit comprises high quality essentials carefully selected by our veterinary surgeons: Hibiscrub®, digital thermometer, bandage (EMT) shears, cotton wool, Gamgee® (30cm), Soffban® x 2, non-adherent dressings (2 x large, 2 x small), dosing syringe, duct tape, Vetwrap™ x 2, poultice, Latex gloves (10), Aluspray®, Manuka honey sterile wound ointment/hydrogel, Knit Firm x 2, E-Band elastic adhesive bandage, veterinary guide to use of contents. This first-aid kit is ideal to take to shows and competitions or to keep in the lorry or 4×4. And it might make a super special Christmas gift.